I cut them because I can, because they are gloriously abundant and will thrive as long in fresh water as they will in the garden. I askew fancy “vah-sis,” and grab simple, handy vessels. The key is to submerge the stems as soon as you cut them. And cut them during the proper phase of the moon. Just kidding! From blooming, bristly chives, to delicately strung bleeding hearts, they are such wonders of nature, so purely themselves, no excuses. I’ve been able to write outside lately and it has recharged my senses, albeit my sense of cold hasn’t been relieved. There’s a smell of green and growth. The Ravens are mating and the commotion in the neighborhood is appalling. If it were the neighbor’s dogs, I would feel compelled to call animal control. The woodpeckers have become so tame and brazen, they regularly sit behind me on the empty feeder complaining loudly. Three cats watch in lazy lust. The pollen is thick, it piles up in the evaporated puddles around the screws in the deck and sifts silently onto my keyboard. What used to look bleak and devastated by the logging/road project is hidden behind a curtain of pale, spring green so thick it softens the edges, if not the call of the Geese leaving Wilson’s house a half mile away. I know they will fly directly overhead, they do every night at this time. When he is here, Wilson calls to them and they “Honk” back politely. I say nothing and they whisper by on downy feathers. I don’t know where they go every night. Somewhere safe, obviously. This entry was posted in memoir. 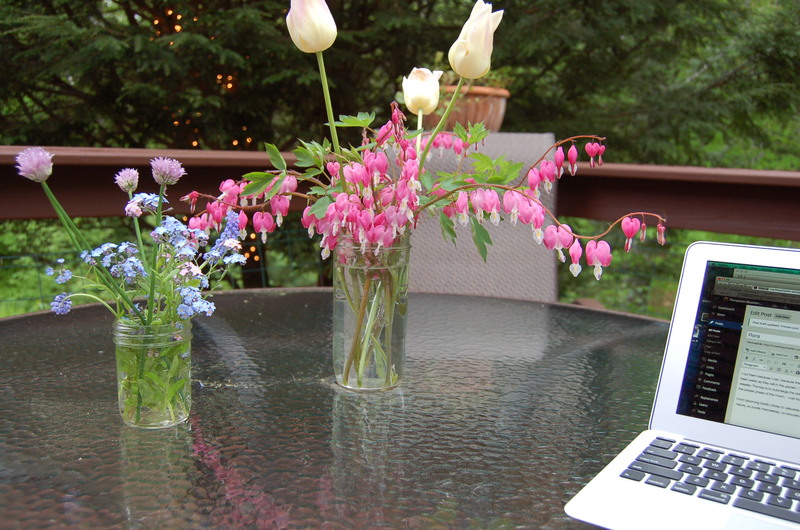 Tagged Bleeding Hearts, Canada Geese, Chives, gardens, New Hampshire, Ravens, spring, writing. Lovely images! 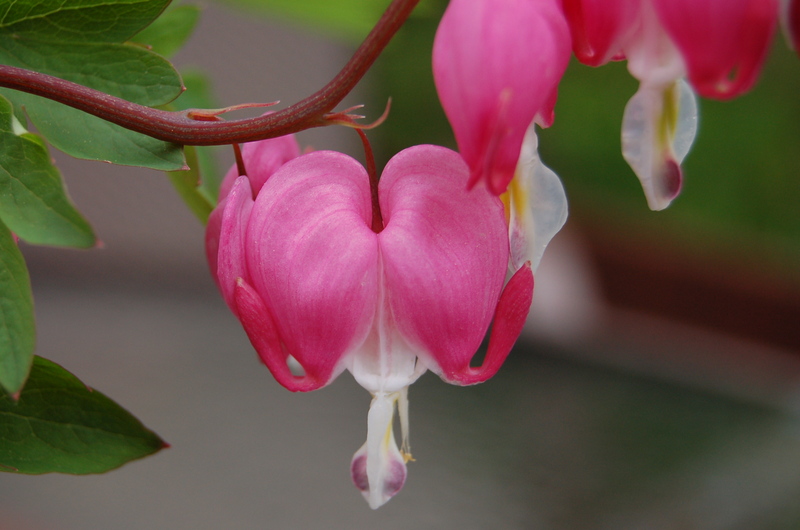 I have to admit, I never thought of cutting bleeding hearts, but they look stunning in your handy vessels. I planted a 10×30 area this year, strictly for cut flowers. I can’t wait until I can fill my office with their fresh scent. Spring does so much to rejuvenate us all, not just our landscapes, but our minds as well. 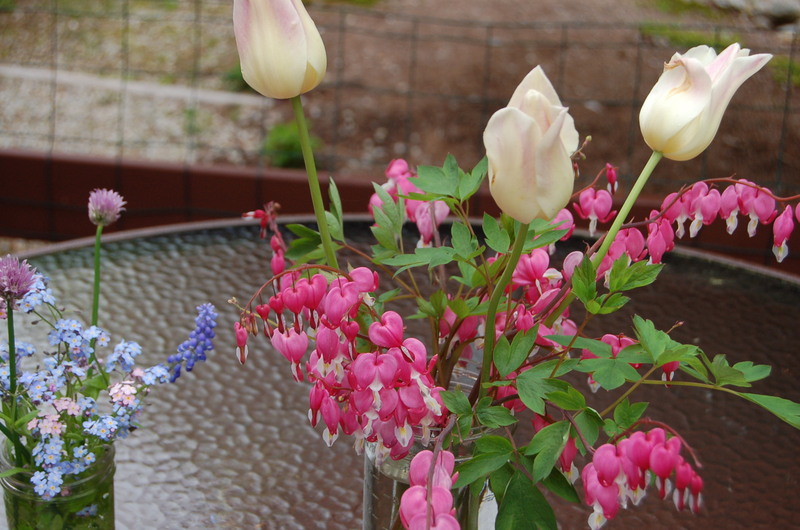 Your ‘cutting’ garden should be wonderful with all the rain. I still have tons of Chinese Lanterns coming up that are earmarked for you! My bees are hoping there is still more pollen, me? Not so much. After the winter we had it’s nice to see any flowers. Even weeds. Dandelions are welcome! The bees love them and I am thrilled with the splash of yellow. Beautiful imagery there. I felt I was sitting in your garden with you. 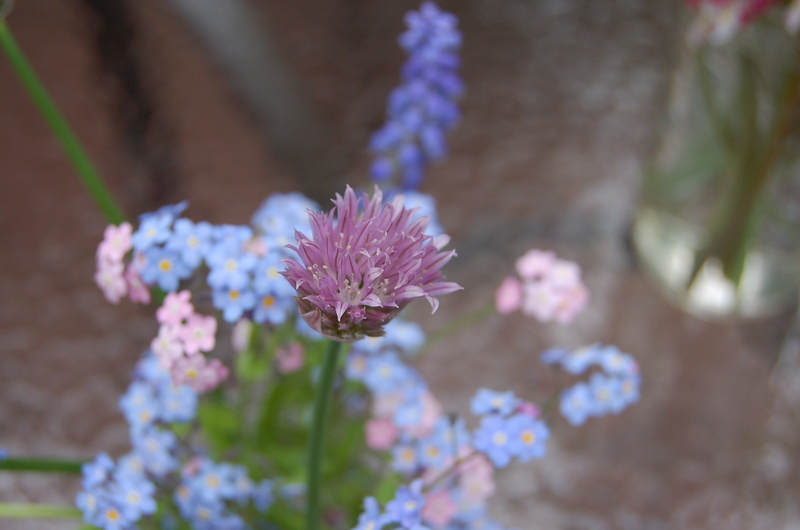 There are lots of changes afoot in my own garden and I’m planning for more flowers. Thanks for stopping by, Marie. Can’t wait to see what you plant!